Digitimes‘ supply chain sources claim that Apple is “rumored to be planning a larger size iPhone for May 2014, using a 20nm processor manufactured by Taiwan Semiconductor Manufacturing Company.” While Digitimes doesn’t give any more details about the next-generation iPhone’s specifications, multiple reports suggest the iPhone 6 will be twice as thin as the old iPhone 3GS. For comparison, the iPhone 5S is 7.6mm thick and the 5C model measures 9mm. The iPhone 3GS, sold until late 2012, measures 12mm. 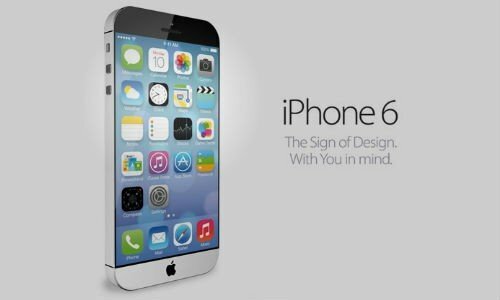 Widespread speculation also suggests that the new iPhone will have a five-inch screen. Releasing a device with a larger display is an interesting move for Apple because it will be a rare occurence where the company will be following rival Samsung, which first triggered the phablet hype back in 2012 with its Galaxy Note. It would be uncommon to see Apple release a new version of the iPhone so close to the release of its latest iPhone 5S but perhaps the company does not want to wait much longer to put out a device with a larger form factor. As with all reports of this nature, be skeptical. We have a long way to go until the next iPhone is introduced.